Mike Babcock: And this was the worst moment for me: I was two weeks into my working at the paper… and about two weeks into it Nebraska had a scrimmage, the last major scrimmage before the Alabama game. And Coach Osborne got all the players together in the south end zone and kind of recalled what he saw during the scrimmage and he said to the defense, “Hey, you guys played pretty good defense. If you play defense that way Alabama will be lucky to score more than a touchdown or two against you guys.” He was that impressed. So the next day I write a story about the scrimmage and I include that in the story. So they go down to Alabama and they get beat 20-3 (and I believe Alabama was national champions in ’78). But anyway, the Extra Point Club the Monday after that, which I believe was at Miller & Paine, and Tom Osborne is there and he talks about the opening game against Alabama, and they have a Grad Assistant go and give a scouting report about the next game (which I believe was against Hawaii), and then they have an assistant coach come in to finish off the luncheon with some game film. (Well, I was sent over there to cover it for the Journal so it would have something in the afternoon edition -which they thought was news- so you had to really listen to all the stuff and really hustle and get back and type up a quick story on the thing.) Well, anyway, I’m listening to Tom and listen to the Grad Assistant give the scouting report, and George Darlington is supposed to show film on the Alabama game and give comments on it. And George gets up and says, “I’m not going to show this film ’til a certain sportswriter leaves.“ And I’m looking around to see if there’s any other sportswriters there. And there isn’t. (laughs) It’s a bit of an uncomfortable silence there, and I can’t leave because I have to stay to write the story. And maybe it was me, but it seemed like it was the longest, most uncomfortable silence. Then George says, “Okay, I’ll show it as long as long as a certain sportswriter doesn’t quote anything I say,” which was a reference back to my quoting Tom. So George’s implication was that I costed them the Alabama game by quoting Tom on the deal. So here I’d been on the job for about a month and I thought I’d already done something that Kansas State, Kansas and Oklahoma State never did, which is beat a Tom Osborne-coached team. And I’d only been on the job for a month! So Tom is 255-49-3, and one of those losses is my responsibility. I thought my job was gone for sure. Then that day after practice Tom asked if he could talk to me for a minute after questions. He took me aside and told me, “My policy on practice is that reporters can watch practice, they just can’t report on anything they see or hear. And if you see something or hear something you can ask me about it and I’ll either answer your question or not, but that’s the policy we have. And you’re kind of new on the job, but that’s just our policy on the thing.” So Tom was very gracious about it and understood. And about two days later Lance Van Zandt, the defensive coordinator, wanted to see me in his office. He was a crusty old guy. I thought he was going to jump all over me, but he said, “You’re new on the job and you’re gonna occasionally write things that are gonna make people unhappy. I just want to encourage you to ignore it and do what you think is right.” That was just a great response on both parts. The impact you have? You really have to be careful what you write. And I wrote columns for a while, too, my columns ended up being more feature-ish and less technical. It always seemed the less you knew about a subject the better off you were. And I don’t see the world very much in black and white, I see mostly gray and it’s all point-of-view. I probably wasn’t a great reporter in some respect. I never tried to tell people what their job was, and I would never have wanted to have been a columnist while Bill Callahan was a coach that last year there. Short of some really criminal behavior, he’s a coach, he’s a person. He might not be the perfect person for that situation, but I never saw myself trying to tell people how they ought to do things. 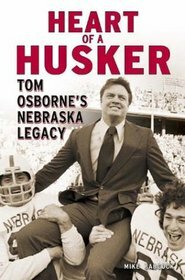 Q: So, Mike, let me ask you, in putting together that book Heart of a Husker -you’d been around Coach Osborne since ’78- was there anything new that was revealed to you about how he ran things, his style, his character? Something that surprised you? MB: My reaction is to say ‘no, not really.’ I guess the thing that was most impressive to me was that people were able to characterize him. And what I understood about him? They were able to express it in better ways. I’ll give you an example: Kevin Steele told me that Tom‘s success in part -and in large part- was that Tom had the ability to make everybody in the organization, when he was dealing with them, to make them feel like they were the most important person to the success of that organization: whether you were a secretary or an assistant equipment manager or whatever. When Tom came to you and talked he had the ability to make you think that you were important and the success of the organization depended on you doing your job in a positive and effective way. And one former player, who preferred to be nameless, there was one road game at Kansas or Kansas State where Nebraska always took a bus. Well, afterward if the players wanted to go home with their parents, they could. So he said that Tom said, “Well, that’s fine,” thinking that he was going to back with his parents. He said that he told Tom that he was going back with his parents… but he didn’t. He stayed with his buddies and they went out on the town. So the kid said he’d gone out and had a good time with his friends. Not that they got into any trouble and got drunk or hauled into jail or anything like that, just that they had a good time out on the town. To this day Tom didn’t know that he did that, and to this day he does not want Tom to know that. And we’re talking 20-plus years later. And the reason he wouldn’t is because he didn’t want him to know so Tom wouldn’t feel like he’d let him down. Now, what does that say about the relationship and the respect a player has for him some 20 years later? That’s the kind of relationship-building that went on. And whether it was directly stated or the implication, they played hard because they didn’t want to let Tom down. They didn’t want to disappoint him. When they won that national championship, it was most important to them that they did it for Tom, that they won that national championship for him. You’ve talked to Trev, I’m sure, about that ’94 national championship game against Florida State where Byron Bennett couldn’t get that kick through at the end there, and Trev said that in the locker room that Tom’s first inclination was to walk over to him in the locker room and apologize that they weren’t table to get him and the seniors the national championship. And you know, the Lawrence Phillips thing? Tom still gets nailed on that from a lot of people. 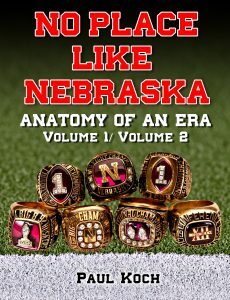 And, from the beginning, Nebraska didn’t need Lawrence Phillips. He was a great player, no question. If Lawrence Philips had been a social sociopath or whatever… he could have been the greatest running back ever at Nebraska, and he had that ability. But they didn’t need him in that national championship game. They had Ahman Green, they had a great team. Tommie Frazier. They would have won that game without him and they did so without him during the year, anyway. But Tom looked at Lawrence Phillips and I really think he thought that the only way of salvaging him was to let him play football and to put that out there for him. And if people didn’t believe that, why did Tom suspend Terrell Farley down the stretch in ’96? If they wouldn’t have suspended Terrell Farley I think they would have won three in a row. If he’d not been suspended they would have had an outside rush versus Texas down there in the Big 12 Championship. And Tom always felt that he was one bad season from them running him out of there, I think. They would have maybe given him two seasons, but he understood that. And that’s kind of what drove him. But understanding that, he didn’t compromise his principles with Lawrence Phillips. There was a reason he did those things. Q: Lastly, what do you think the national media failed to grasp when it came to the Nebraska/Lawrence Phillips issue? When they piled on and tried to bring us down, so to speak? MB: Well, it was that. And I think the fact that Nebraska is a low-population state. You know everybody, where they go, “Look at Nebraska. All they have is football and it’s the only thing they have.” And I think that’s a positive. Anytime you can have something for people to rally around and have some enthusiasm about, something special in their life? Nebraska football was that to them. I think the national media looked at that with disdain, because “that’s all they have.” But I’m not a great one to answer that, because I want to live here, anyway. (laughs) My view of things is distorted. But when Tom went for two in ’84 -here’s the good thing- when Tom went for two instead of just kicking the extra point and going for the tie. He played to win against Miami in the Orange Bowl, and they lost 31-30. I think a lot of national media? Tom got a lot of respect for that. And when the Lawrence Phillips thing came up eleven years later a lot of people bailed out nationally and said that “it’s all about winning.” And Bernie Goldberg was here with the cameras and all and caught him coming out of a news conference. That was bush league as far as I’m concerned. I just think that people to some extent don’t understand what it’s like to live in Nebraska. I mean, I don’t understand what it’s like to live in Michigan or Ohio. So maybe it’s just like that with the Ohio State fans or the Michigan fans; I don’t know because I don’t live there. There are things you don’t understand about other places, but what makes Nebraska unique is the thing some people don’t understand. How do you get 300 consecutive sell-outs since 1962, you know? 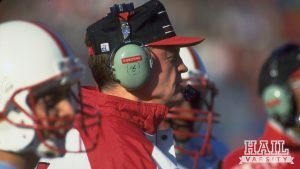 And I remember one of those earlier Orange Bowls when Nebraska played Miami and the Coaches Luncheon after that, and (Tom Osborne) said, “Maybe the game has passed me by.” He wasn’t looking to step down or anything, but he was mulling over the possibility out loud, you know? People were bitching about he wasn’t throwing the ball enough, but those were great Miami teams. But you don’t have 25 years of success that he had and eleven years under Bob as an assistant, and that doesn’t happen without a pretty good system in place. And I don’t know if the national media understood it or even wanted to understand it. And like I said earlier, sometimes when you’re a columnist, it’s easier to be a columnist and have an opinion the less you know about things.” The less you know, the better off you are” kind of thing. Oftentimes they just want to deal in stereotypes, “the N on the side of the helmet stands for Knowledge,” that kind of cheap stuff. After getting to know Mike one might say he is a ‘homer’ ….not that there’s anything wrong with that. He doesn’t beat around the bush, acting a pompous boor and lecturing with turned up nose as if elevated above ‘the dirty-collared, uninformed bourgeois’ he serves and entertains, and I can respect him for that. I’m glad we had a chance to delve into his personal opinions and understanding of the press and the role they played during that era, because while the Huskers became nationwide media darlings after winning it all that ’94 season they soon became media demons in ’95, (a la “We want Barabus!”) when Lawrence Phillips’ indiscretion garnered a multitude of nationwide headlines and opinion columns, sports sections and otherwise. 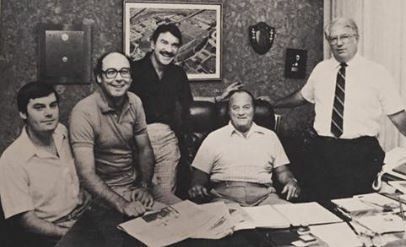 This was back when the internet and sharing online opinion was just a faint notion, so the sportswriters of the day held greater sway in fomenting public outrage and opinion. That’s an honest, apologetic and refreshingly heartfelt message. I can respect Lawrence, too, for that.